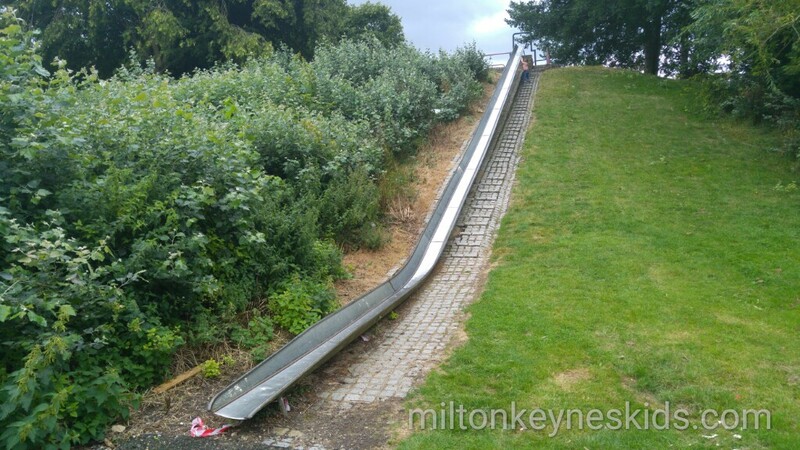 This HUGE slide at a park in Bradville, Milton Keynes is ‘EPIC’! Well that’s according to my friend’s son Ethan who tried it out along with me and my eldest son. And we’re inclined to agree with him. 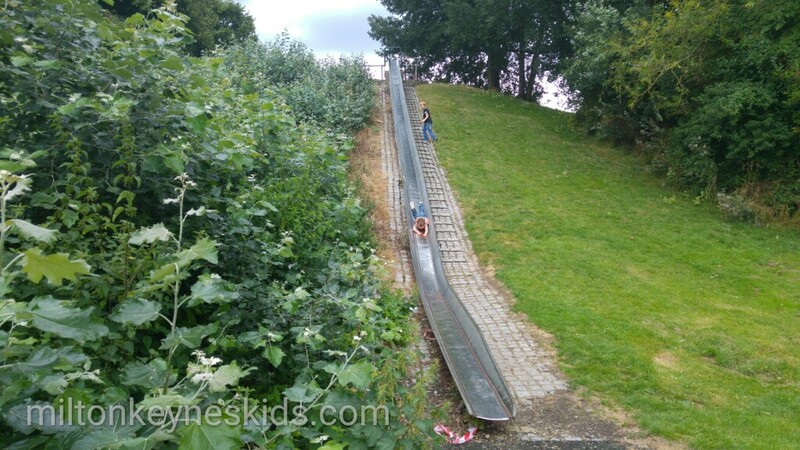 Since he turned three, my little boy has become some what of a daredevil and so had no qualms following his older friend and Ethan’s 9 year old sister Ella up to the top of the big hill to then come down the slide both forwards and backwards on his tummy and on his back. Of course I had to try it out too. I know, I know, I’m 36, but it’s all in the name of research for this blog. Anyway it’s brilliant! 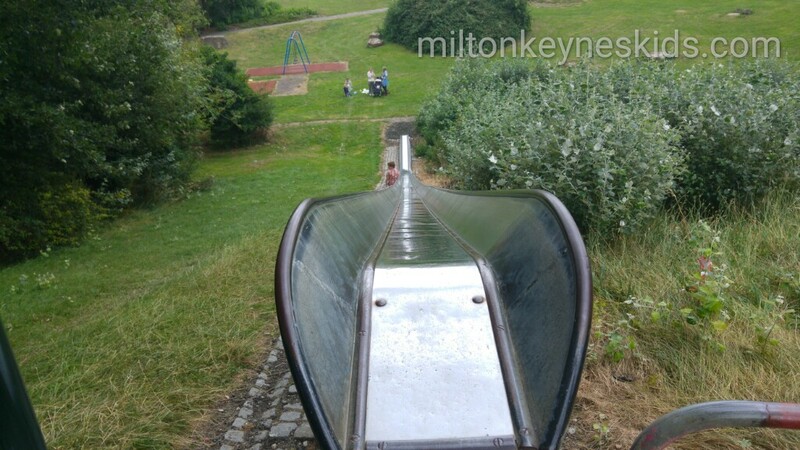 The slide is the best thing about the park. 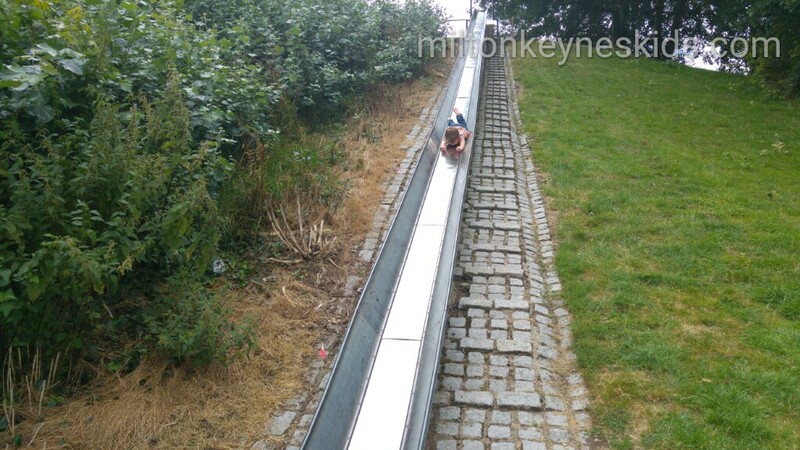 You MUST check out the video of the slide on my YouTube Channel as you can see exactly how much fun we had. 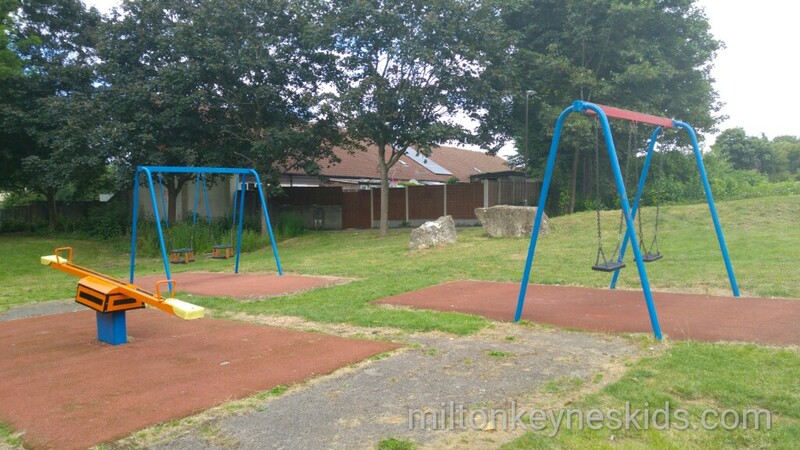 There are some baby swings, see-saw and a climbing frame as well. It’s in the middle of a housing estate in Bradville. You can’t see it from the road and is quite hidden. 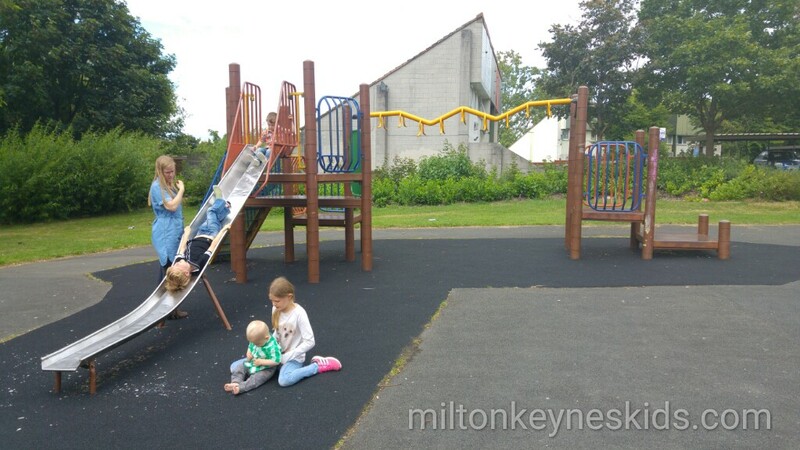 The park is in the middle of Crispin Road and Kingsfold. We went half way down Crispin Road and parked near Bandford Road. 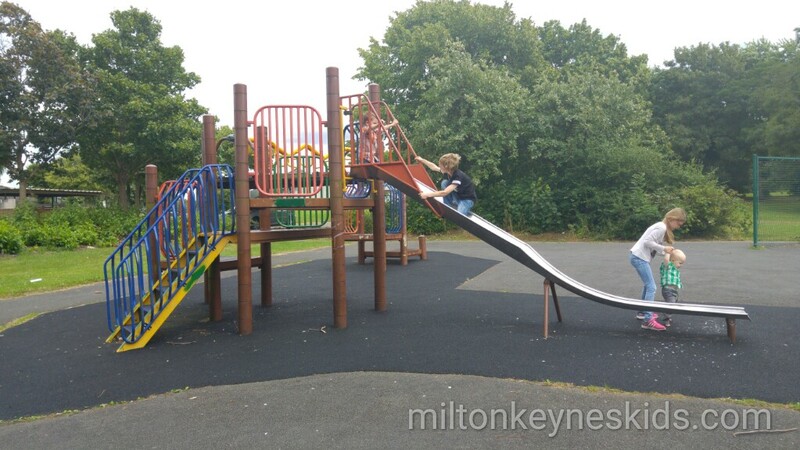 An approximate postcode is MK13 7BT but go slightly further on until you get to roughly to Bandford Road. 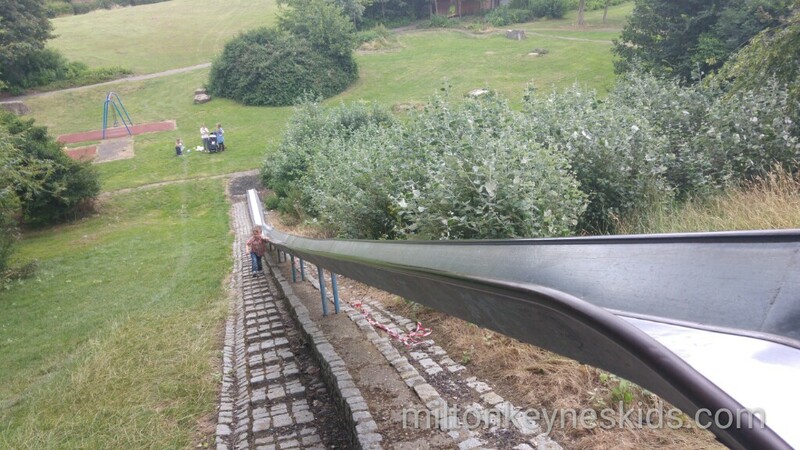 It’s well worth visiting if you have children who simply love a big slide. 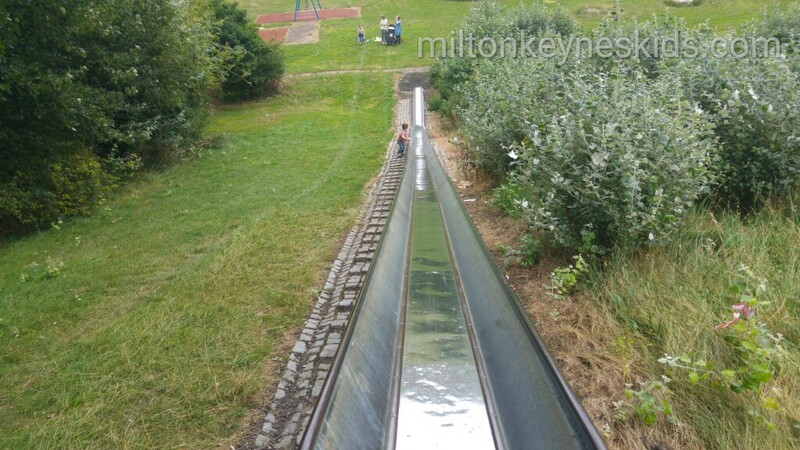 If they love other big slides then have a look at my review of Downs Barn Park and don’t forget to check out the parks section of my blog.